Henry Ashbacher is the 11th child of 13 born to the parents of the late Andrew and Beatrice (Prasniker) Ashbacher. He is a life long resident of the Franklin/Arma area. He has lived in Franklin for the past 15 years. Henry has 3 children, Abby age 21, Andrea age 13, and Drew age 8. He is a 1979 graduate of Northeast Unified School District #246. 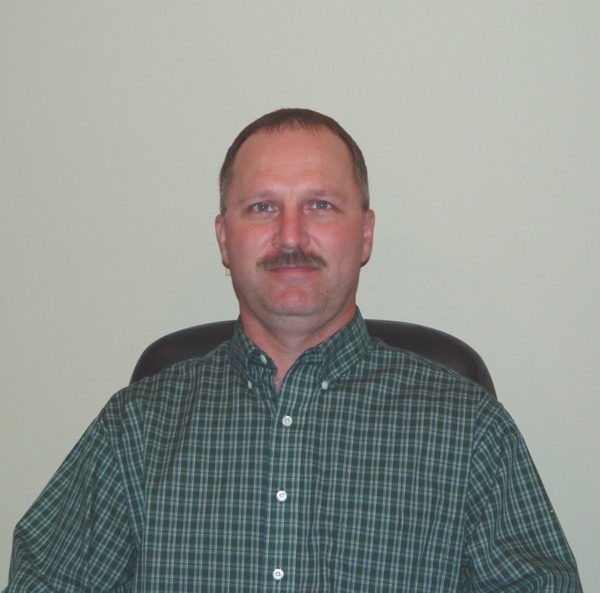 Henry currently serves on the School Board of USD 246 and has for the past 6 years. He served as both President and Vice-President for the school board. He served as the Job Inspector for the 2002-2003 School Bond addition/renovation project. He is an active coach and sponsor for our area youth athletics both boys and girls. Henry owned and operated Ashbacher Construction Inc. and is currently employed by Craw-Kan Telephone Co-op. He was the president of Franklin Water Company #2 for many years. Henry is one of the Founding Fathers of Crawford County RWD #7 where he served as president for the first few years. He is currently the KDHE certified Small Systems Operator /manager for RWD#7, the Vice-President of Franklin Community Council, a member of the Franklin Civic Center Building Committee, and a member of the Planning and Land Use Committee. He's a member of Pittsburg Son’s of the American Legion and a 3rd degree Knight for The Knights of Columbus Catholic Fraternal Organization. In his spare time Henry loves to golf, fish, hunt, or just being outside with his kids.